Ogboona hhshs Ahanna Sampson AKA (SwagJazzy) Da Swagboy). Once a YME nation artist is now with the SwagBoy music team. 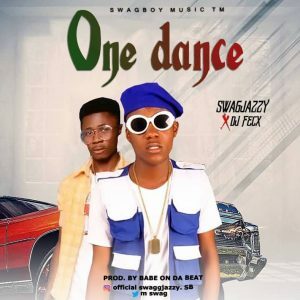 SwagJazzy is one of the fast rising artist from d east that has been giving us hit and hit since last year is here with another banger hit Titled “One Dance” with the Super Star “Dj Fecx”.